"It's like, 'We've got a spot here, these guys are presented to us, it's a free hit and what have we got to lose?'. "If it comes off, great, and you can finish up with a Zach Tuohy or whatever, but if it doesn't, well, you've only used up a Category B spot, which you weren't going to use anyway, so why not take a chance?" "Our game's changed a bit and it's really well suited to that running-type game they play,"Giants list manager Jason McCartney said. "I haven't had a lot of exposure to Gaelic footy, but it's an exciting game. "It'd be nice if they tackled, but with that, it allows those types to fit well into the way we play the game at the moment." The homesick factor remains, and both Cian Hanley and Cillian McDaid left for that reason this year, but that peril is evident even in Australian players competing in a different state to where they grew up. The Victorian-based Irish contingent are part of a WhatsApp group amusingly named 'The Takeover' and act as support and a social outlet for one another. Their kinship is obvious, evidenced in Sydney's Colin O'Riordan catching up with Geelong pair Tuohy and Mark O'Connor a day before their clubs clashed in April this year. The success stories go beyond the trailblazers, 1991 Brownlow medallist Jim Stynes and rugged defender Sean Wight, who both played at least 150 AFL games after starting in the late 1980s. 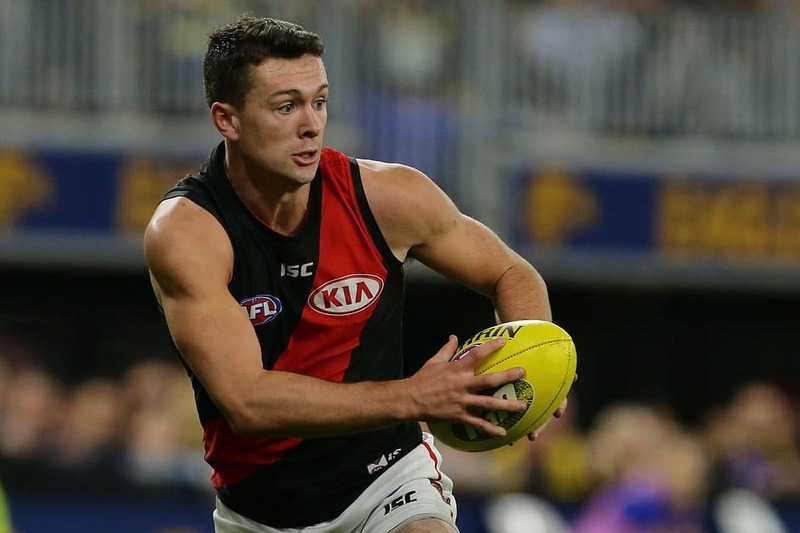 There's former Swan Tadhg Kennelly (197 matches), Tuohy (168), Suns dasher Pearce Hanley (145), ex-Blue and Giant Setanta Ó'hAilpín (88), one-time Pie Marty Clarke (73) and Essendon's Conor McKenna (51). The higher concentration of Irishmen in the AFL suggests there are many more to come, although to date the majority go home for one reason or another within three years. How quickly they have returned is part of why – despite some initial disappointment and anger when players leave – there is generally goodwill towards those who attempt the transition. "They usually come back as better athletes and go straight back into their county set-up," The42.ie journalist Kevin O'Brien said. "Chrissy McKaigue signed a rookie deal with the Sydney Swans in 2009 and didn't end up staying there too long. "But he took stuff he learned at the Swans about building a winning culture and helped turn his club, Slaughtneil, into the dominant force in Ulster club football for a few years." Ciaran Kilkenny was a Hawthorn player for only six weeks in late 2012 before deciding not to return after spending his Christmas break in Ireland. He is the favourite for this year's Gaelic Athletic Association Footballer of the Year and has won five All-Ireland titles with Dublin, one of the powerhouse counties, alongside Kerry and Mayo. However, Irish Independent reporter Colm Keys, an expert on all things in the GAA, believes the increasing trend of Irish players trying to make it in the AFL is here to stay. "The respective games have, in my opinion, become more compatible," Keys told AFL.com.au. "The traditional primacy of catching and kicking in Gaelic football has made way for a more running and possession-retention-focused game. "That, allied to a greater penetration of sports science and superior strength and conditioning over the last decade in GAA, has aligned its players more to the cut and thrust of AFL." Keys' latter point is particularly pertinent, as highlighted in a 296-page study into Gaelic games that was released in September this year and used data from 2016. The report found that GAA players spent up to 31 hours per week on their sporting commitments, even though almost all of them have to also work in a regulation job to pay the bills. The AFL is one sporting organisation credited in the study as influencing GAA's increasingly dedicated training habits. There are rare cases of Gaelic football stars earning in excess of 50,000 Euro ($AU80,565) through sponsorship. Combined with work or study opportunities, they can earn the equivalent of double that. Players also receive 65 cents per mile travelled for their inter-county involvement, on top of a monthly nutrition allowance and a small state grant in recognition of their community contributions. But they pale in comparison to the relative riches available in the AFL. Last year's AFL collective bargaining agreement spiked the average player wage from $309,000 to $371,000, while Irish footballers start on slightly more than the standard rookie wage of about $75,000. Mark Kleiman, of TLA Australia, manages more Irish AFL footballers than anyone else, with Conor Glass, O'Riordan, O'Connor, Tohill, Keane, Madden and Okunbor on his books. McDaid and delisted Saint Ray Connellan are also Kleiman clients. Kleiman's priorities with his Irish crew are to work flights home into their contract, advise them on health insurance and related matters, and negotiate their progression from the rookie list. There is also the unique complication of Irish players competing for their club or county when they return after the AFL season ends. O'Connor and Conor Nash were scolded in the past 12 months for doing so, while Ciaran Byrne sought and received permission from Carlton to play and subsequently broke an ankle. Byrne elected to retire from the AFL soon after despite having a contract in place for next year. "It's pretty hard, because they're so proud to play for their local club," Kleiman said. "I think once you explain what's at stake, they actually get it … but when you sit down and look at it through an Irishman's eyes, I get it, too, because their counties are like our AFL teams." There are no plans for Gaelic football to become professional despite a broadcast deal of almost 19 million Euro ($AU30,614,700), most of which is invested into the sport's growth at grassroots level. The romanticism of the Irish game, which pits county against county, is what complicates the situation. As Keys noted: "Many would like a professional sporting career, but it would be unsustainable and would break the county model, which is predicated on where you are from, not how much your county has. "So, Leitrim (the smallest county), with a population of 30,000, starts on the same grid as Dublin (population of 1.4 million). That's the imbalance." That leaves the window open for the AFL to have an alternative recruiting ground – and an appealing one at that. Madden, for example, set 20m sprint (2.69sec) and agility times (7.76sec) at last year's European Combine that were faster than the records at the traditional NAB AFL Draft Combine. "All clubs are getting an interest in it," a scout said. "There is a history of performance and you can actually get the player without drafting them (they are signed beforehand). "Bringing an Irish guy over can occupy your staff a bit more than normal, because you have to spend more time with them … but the upside is huge."